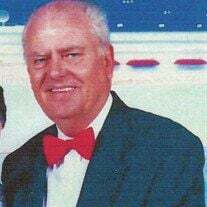 Thomas Randolph Davis, Jr., passed away Monday, March 18, 2019. Tommy was born in Clinton in 1937 to the late Thomas Randolph Davis, Sr., and Margaret DuPree Davis. Tommy was a graduate of Clinton High School and the University of Tennessee. Tommy was president of Pro, Inc. based in Houston, Texas, and retired to his “home place” in Clinton. Tommy was a veteran of the U.S. Army who proudly served in Europe to defend democracy. Surviving Tommy is his loving wife, Ann Davis, “Darlin’Ann,” and two sons, Randy Davis and Russell Davis, three granddaughters and two great-granddaughters. Tommy was predeceased by his sister, Jane Anne Davis Gasque. A Celebration of Life service will be held on Saturday, March 23, at 2 p.m. at the Gray Funeral Home Chapel of Clinton. The family will receive friends prior to the service from 1 to 2 p.m. at the funeral home. In lieu of flowers, please make donations to the Alzheimer’s Research Foundation at https://www.alzheimersresearchfoundation.com.